It's as true today as it was in 1949, when the University of Cincinnati first began offering continuing education to adults: the benefits of lifelong learning are many. That's why UC's Communiversity enrollment is at an all-time high. Learning new skills and hobbies isn't just a fun way to occupy your free time; becoming a lifelong learner has immense potential to enrich your life. The more you know, the more opportunity there is for advancement in the future, both in your career and personal life. Wherever you are in your life or career, the daily grinds seems more bearable when it includes hobbies you love, new subjects to explore, and a path to living a more fulfiling lift. With the many benefits of continuing education, there's no better time to make the committement to #LearnSomethingNew. We treasure the great experiences we have had taking Communiversity courses. As adult learners we feel the topics are relevant to our interests. Dennis Tom, UC Communiversity student who participated with his wife Ellen. 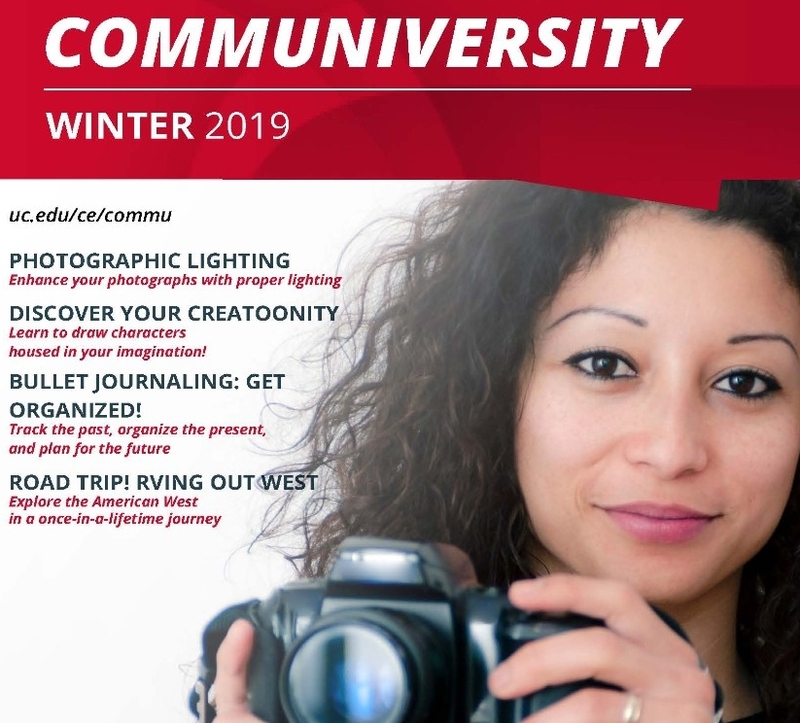 Communiversity offers fun and innovative continuing education courses to enrich the lives of those around Cincinnati and beyond. With locations both on UC Victory Parkway Campus and around Cincinnati, Communiversity makes it easy for working professionals, retirees, and other lifelong learners to develop new skills and hobbies.